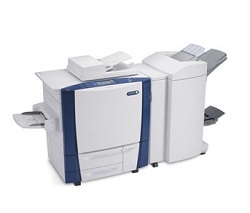 Xerox ColorQube 9303 color multifunction printer that offers high print performance for your office use, Utilizing Xerox Solid Ink technology, this printer promises simplicity and reliability. This printer offers printing, copying, scanning and faxing functions. ColorQube 9303 comes with a 160 GB hard drive, 2 GB memory and supports Ethernet connectivity that will help ease printing in your office. Download the Xerox ColorQube 9303 driver according to the Operating System on your PC or laptop at the link below.